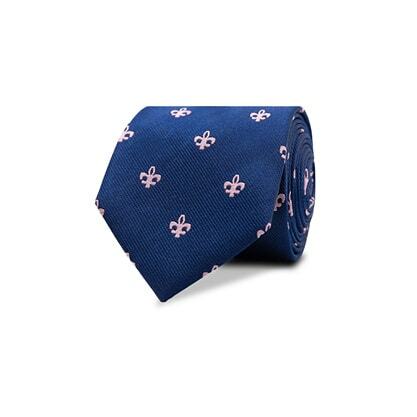 This pink emblem and navy tie boasts a subtle, yet fun twist with its stand out pink emblems against a navy palette. Wear this with a white custom, tailored shirt for full effect. This tie has been crafted with 100% silk and we recommend styling in a half-windsor knot, or a four-in-hand knot.